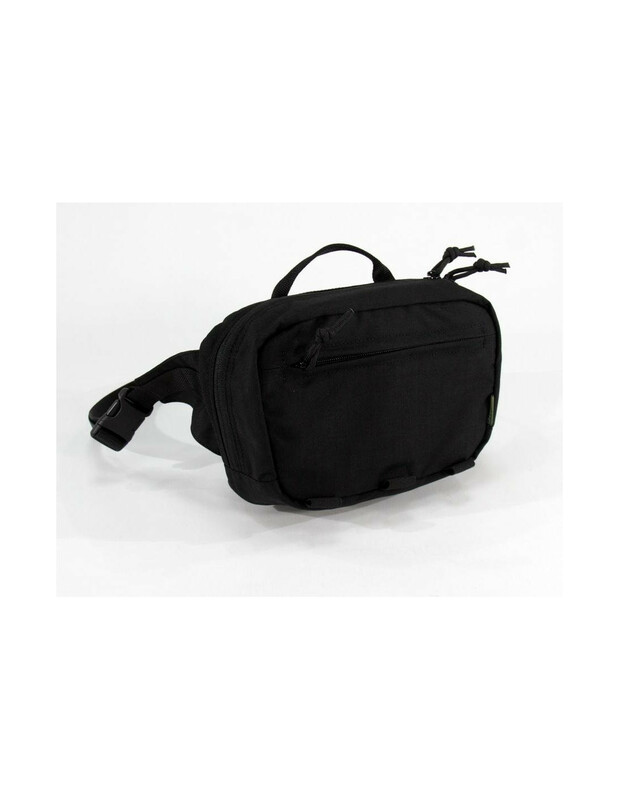 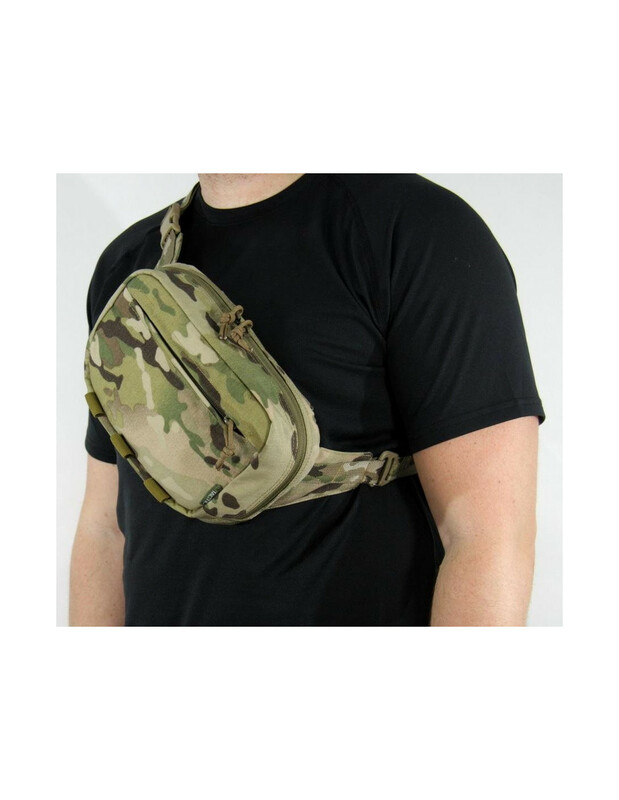 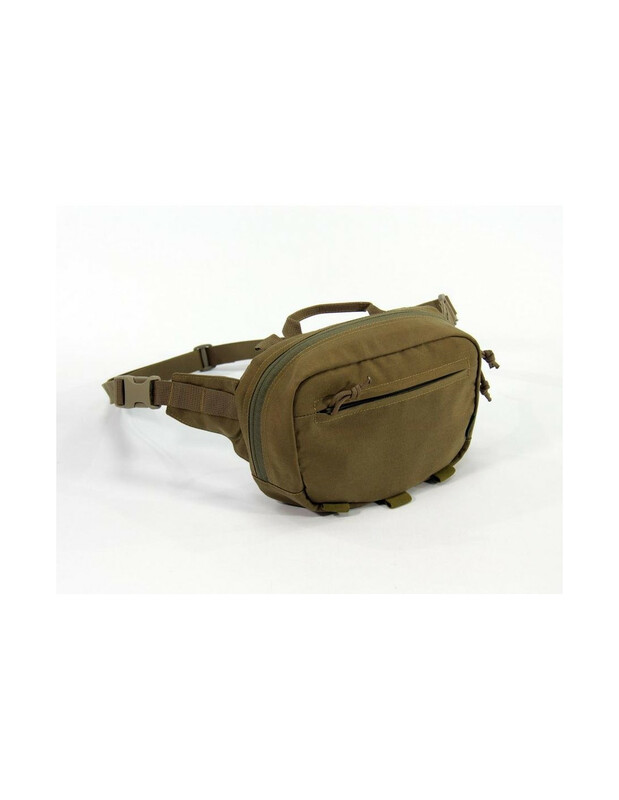 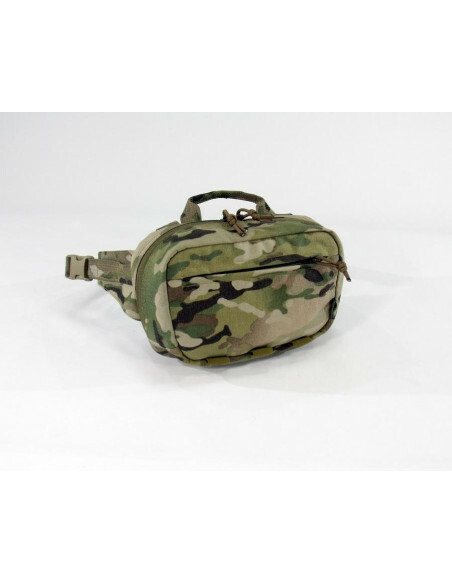 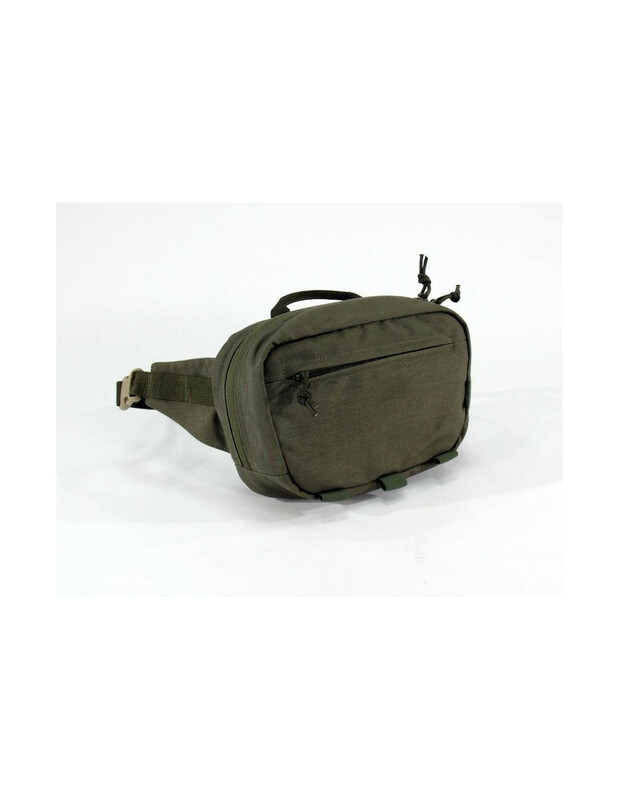 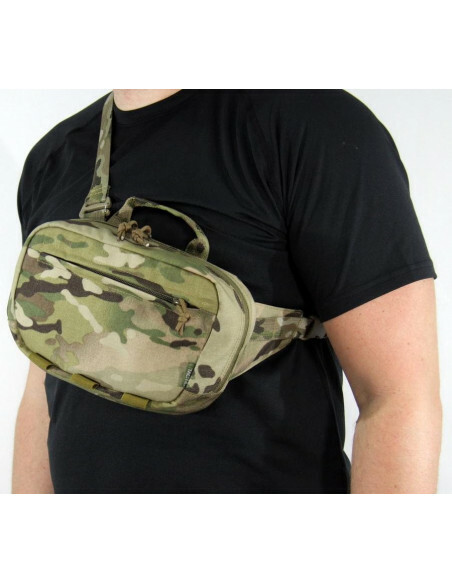 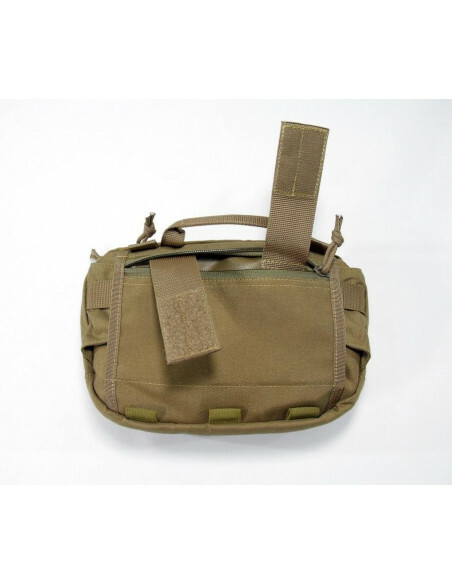 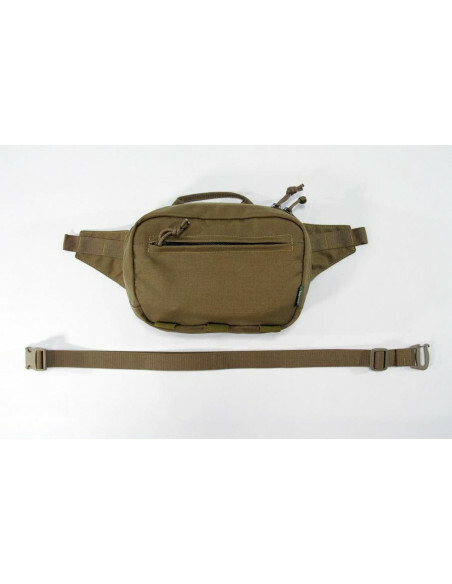 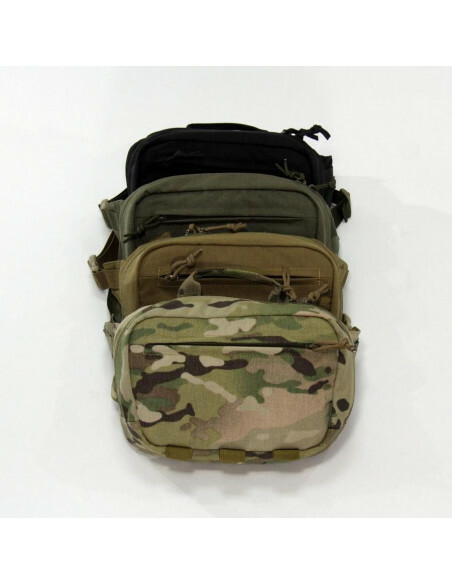 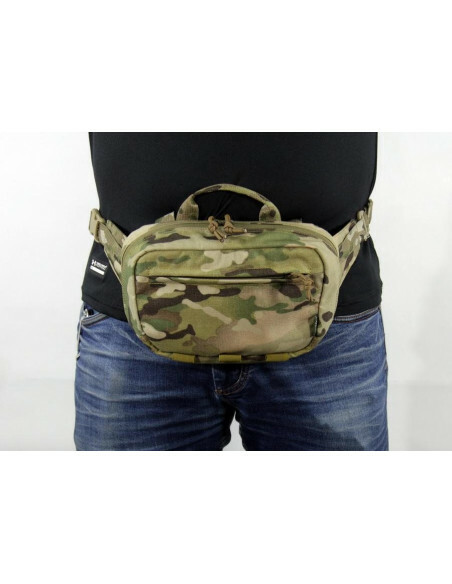 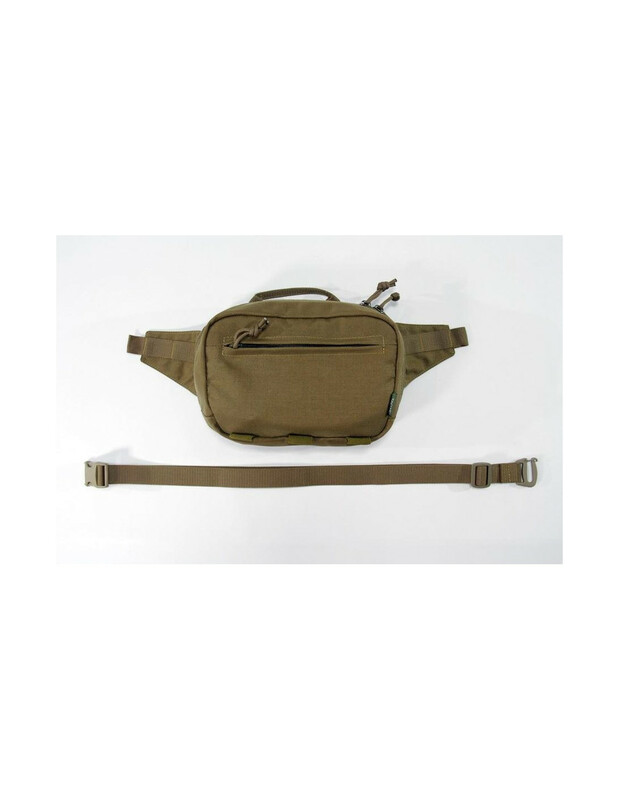 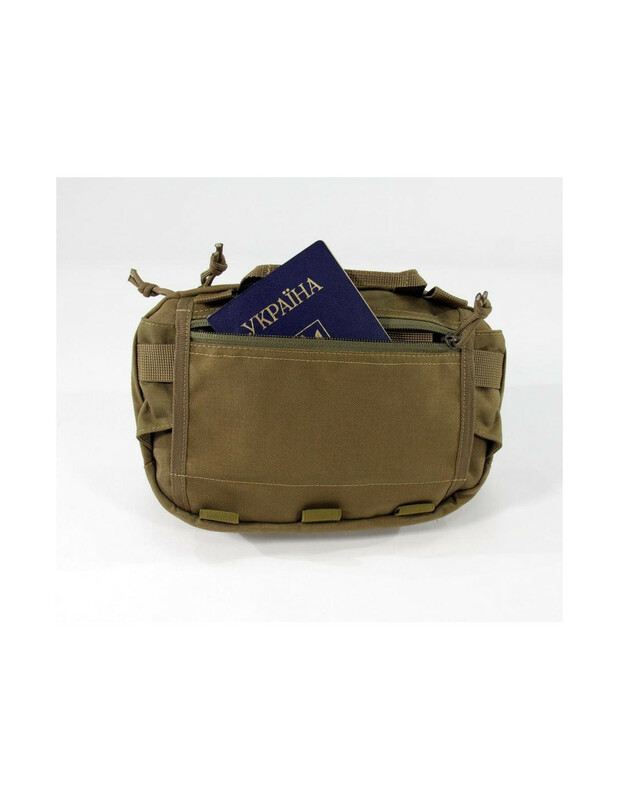 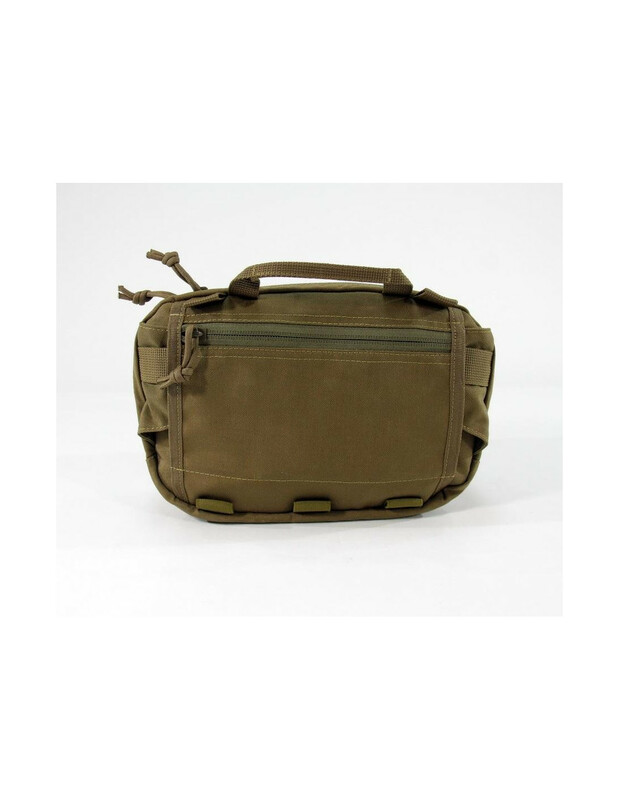 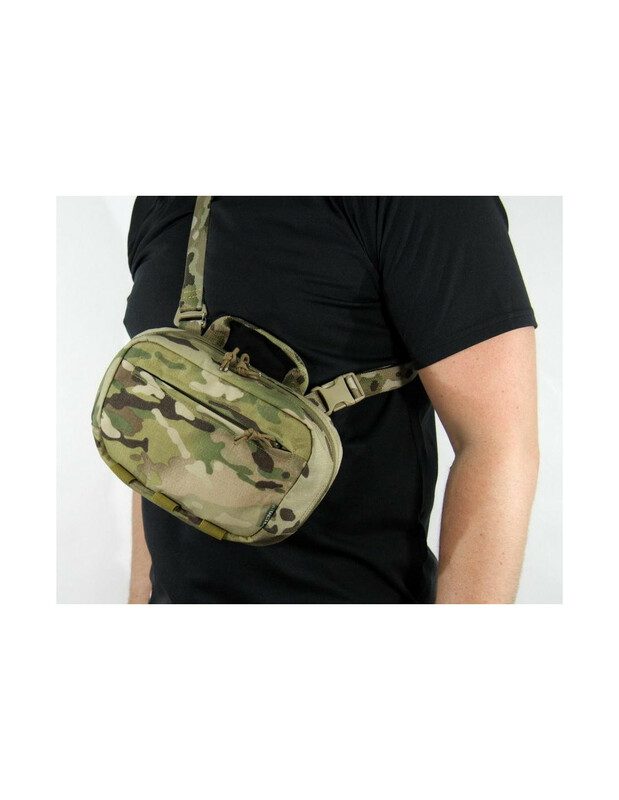 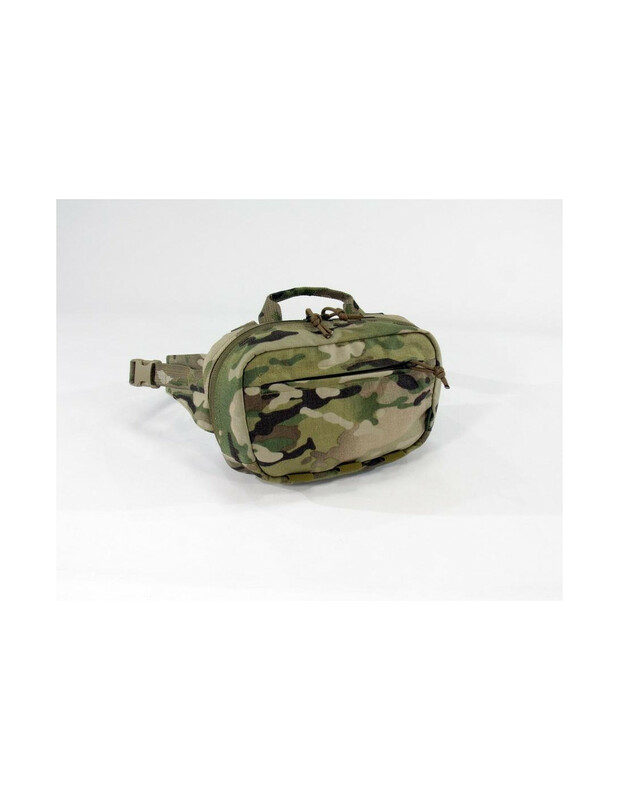 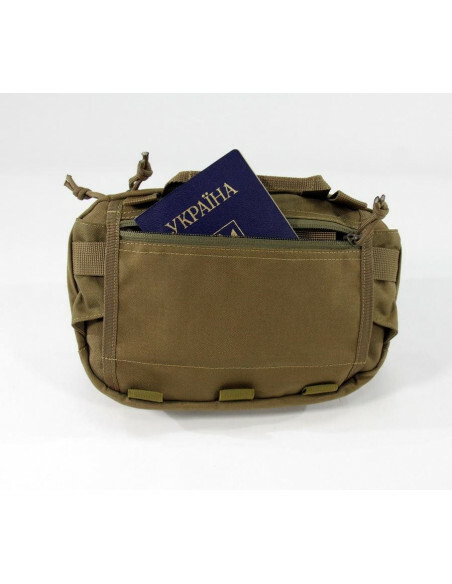 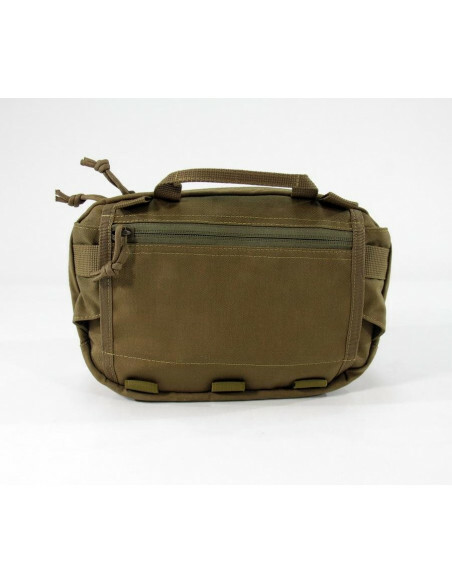 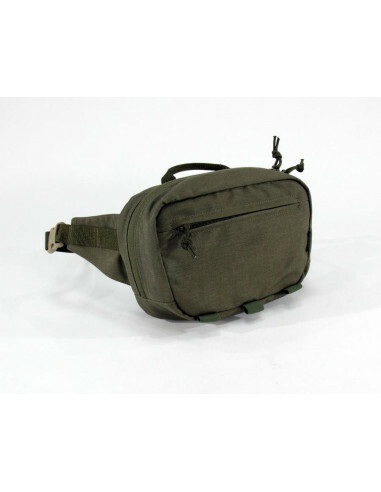 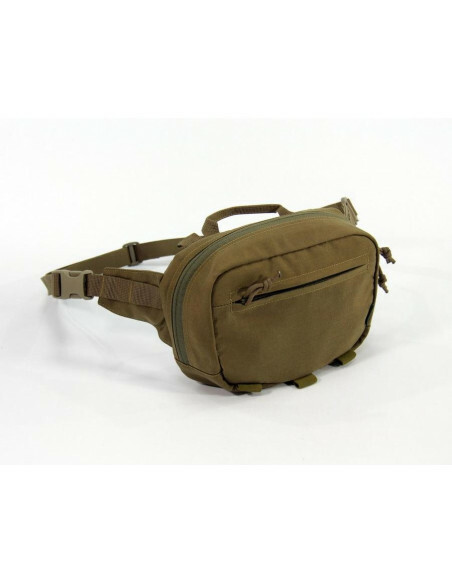 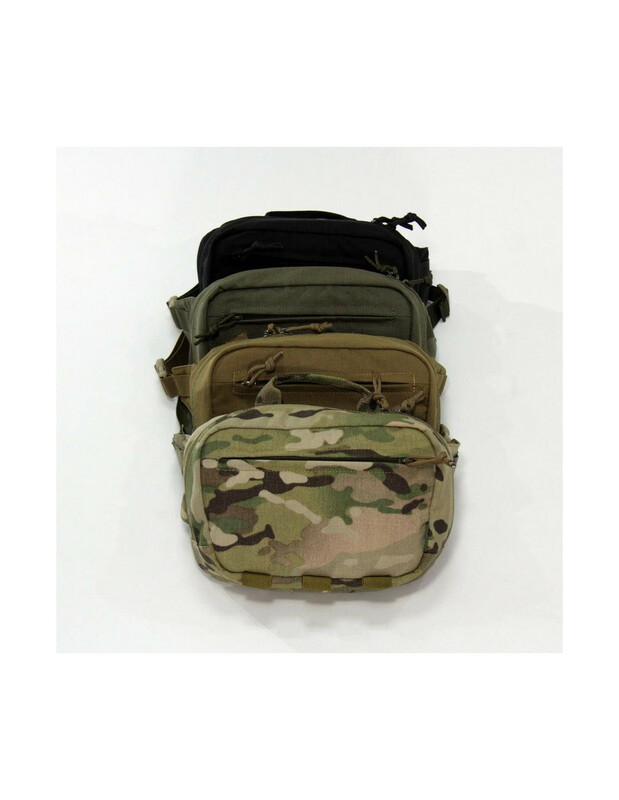 UTactic Waist Medium Bag is a medium-sized bag from UTactic waist bags collection, designed for storage and transporting of daily things and personal documents. 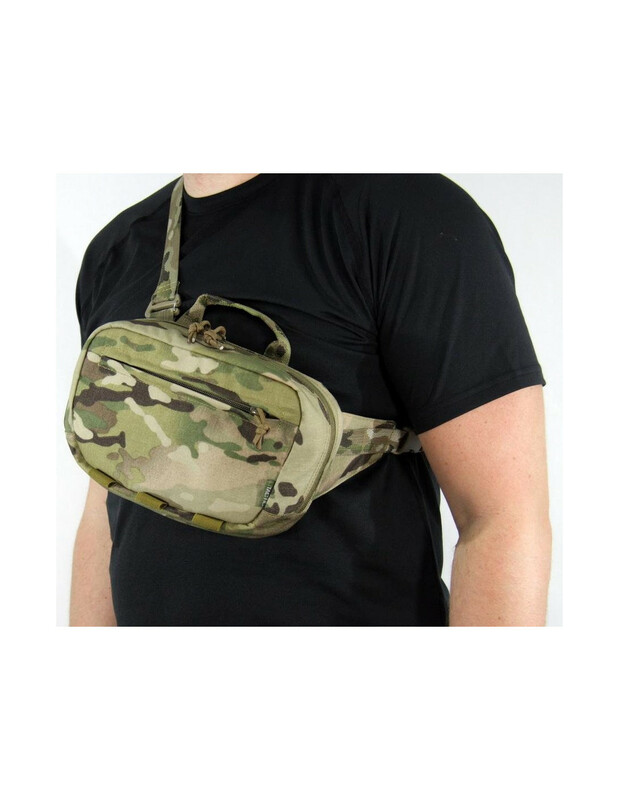 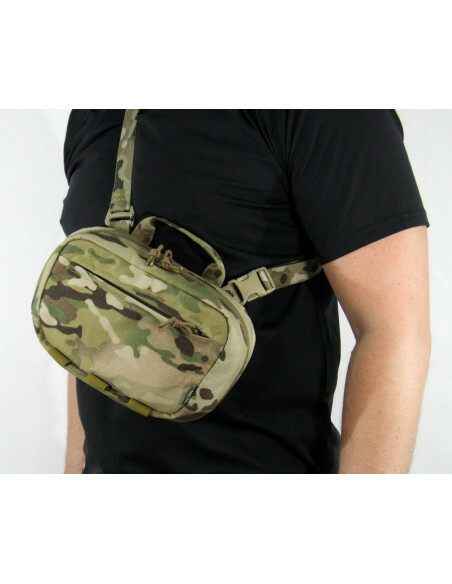 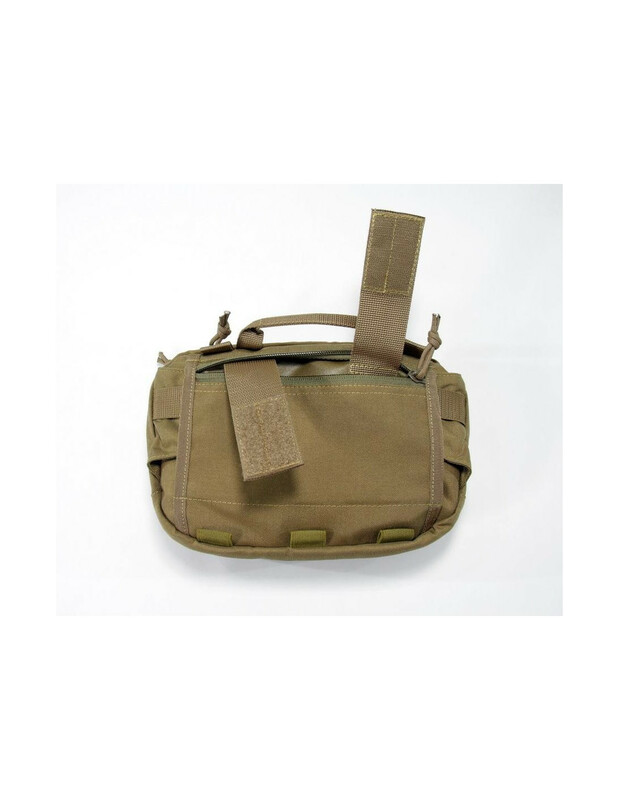 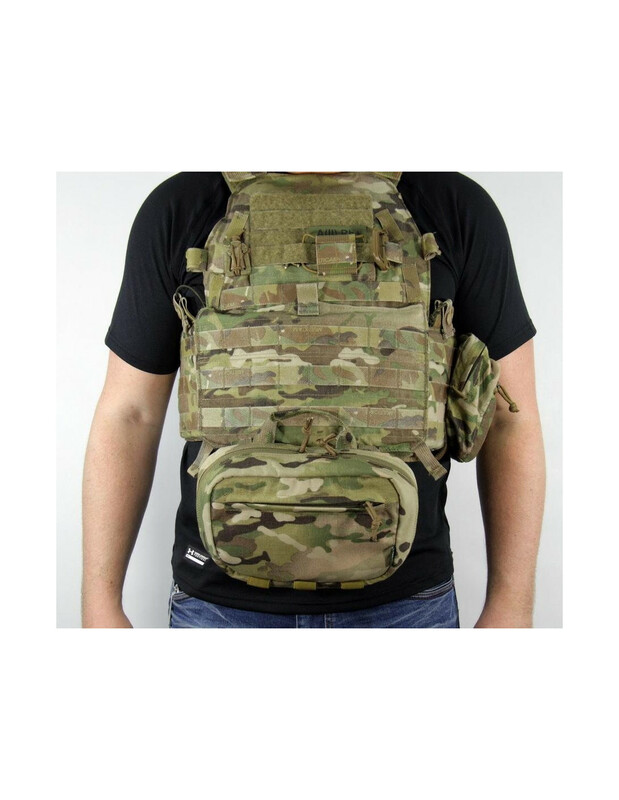 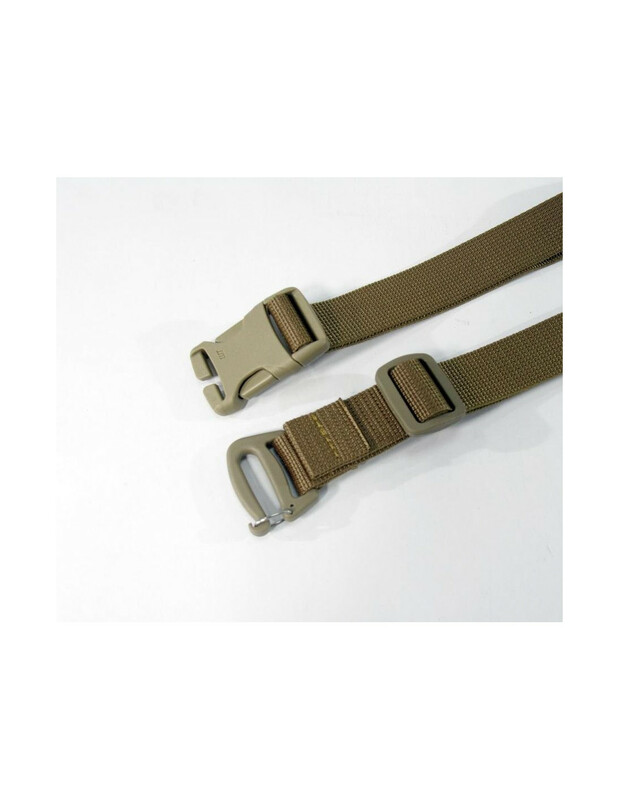 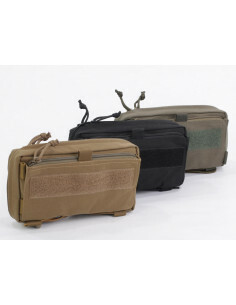 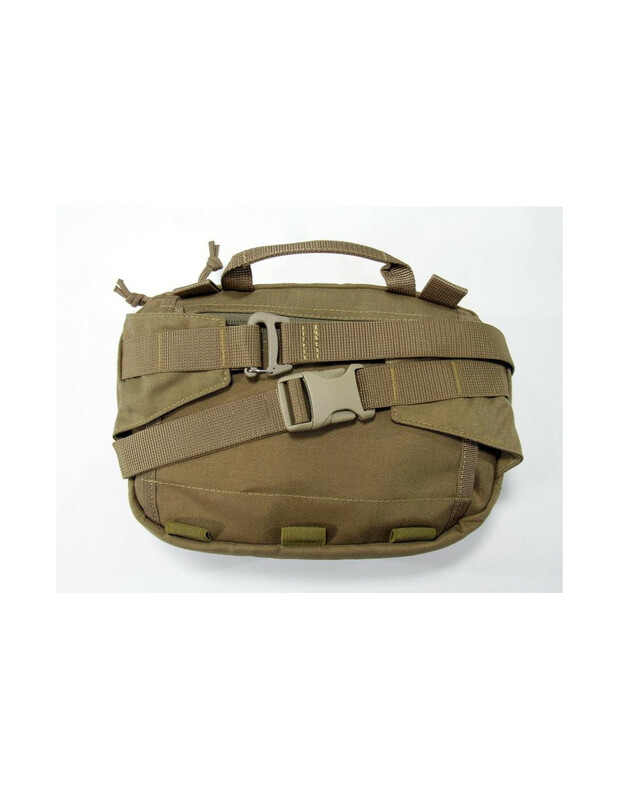 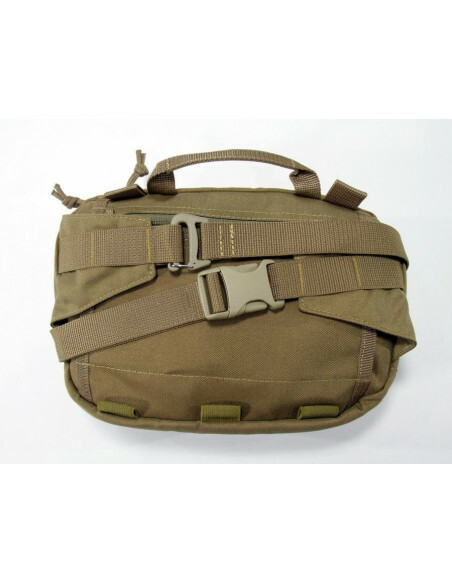 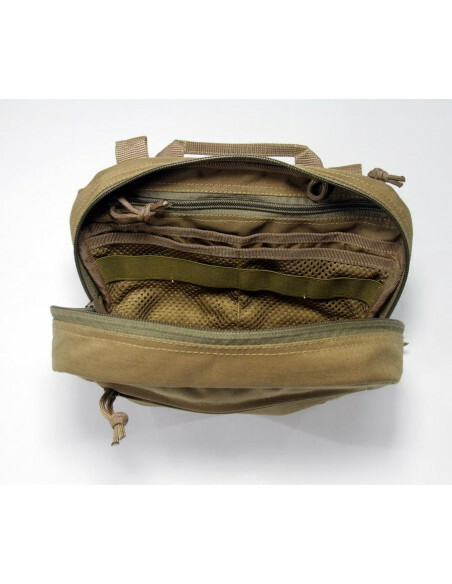 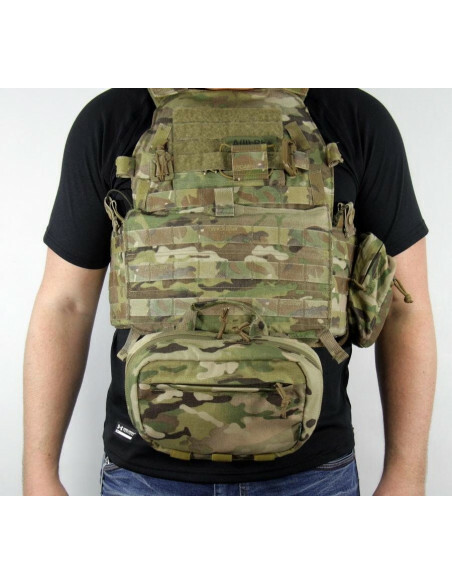 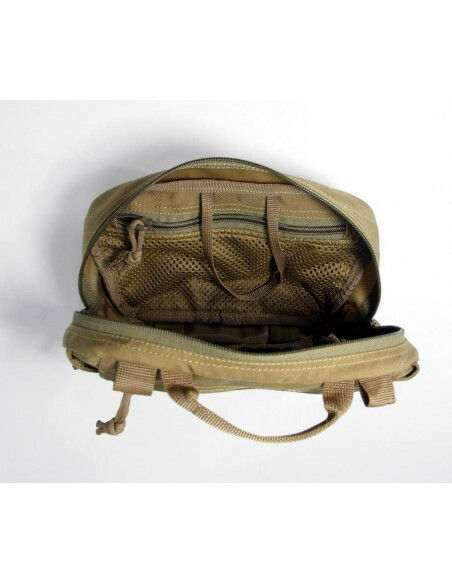 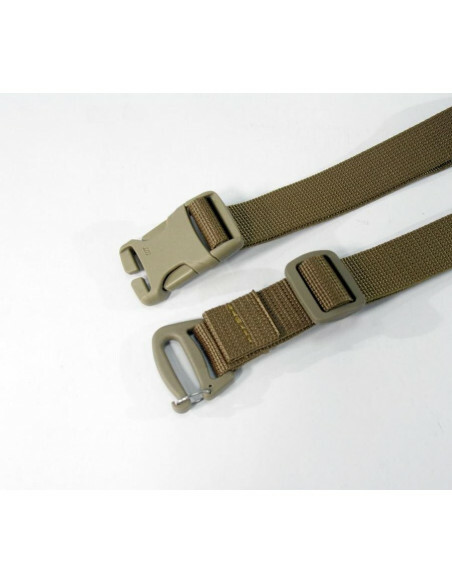 A variety of wearing options is achieved by removable waist belt and attaching points for fixing the Bag. 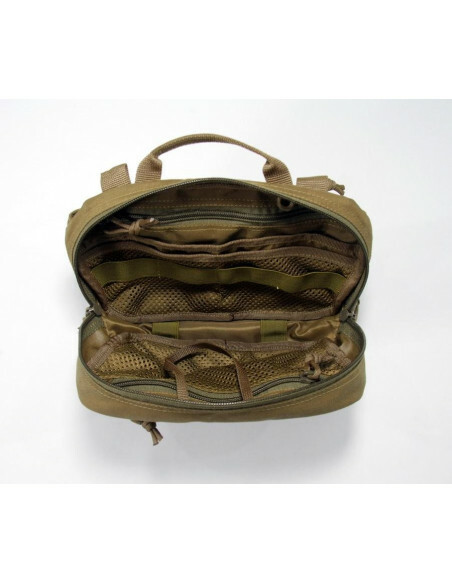 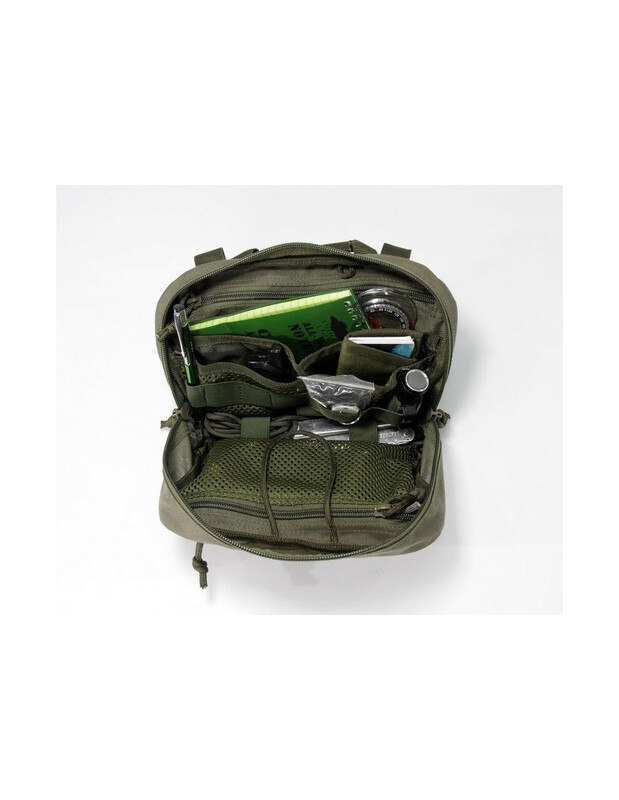 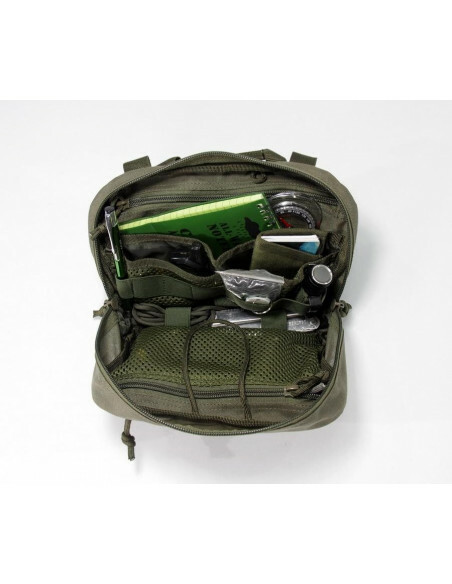 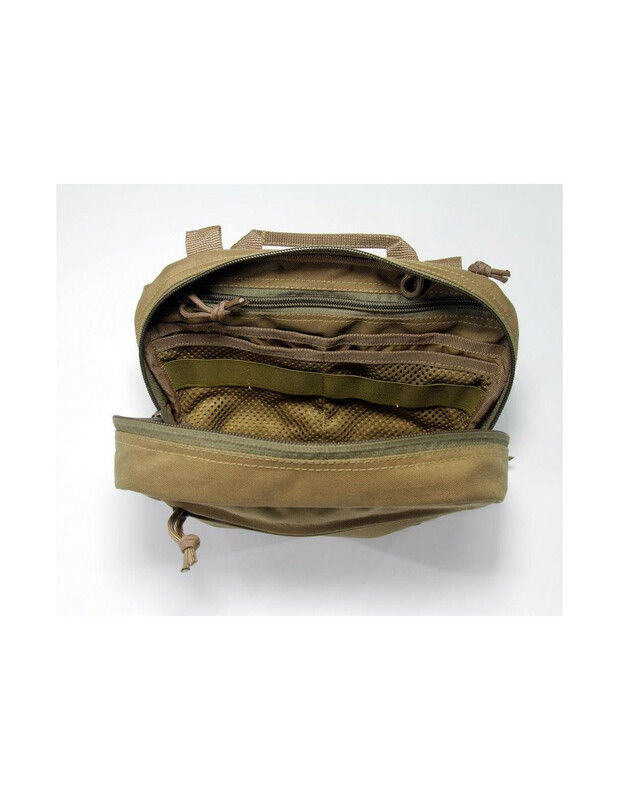 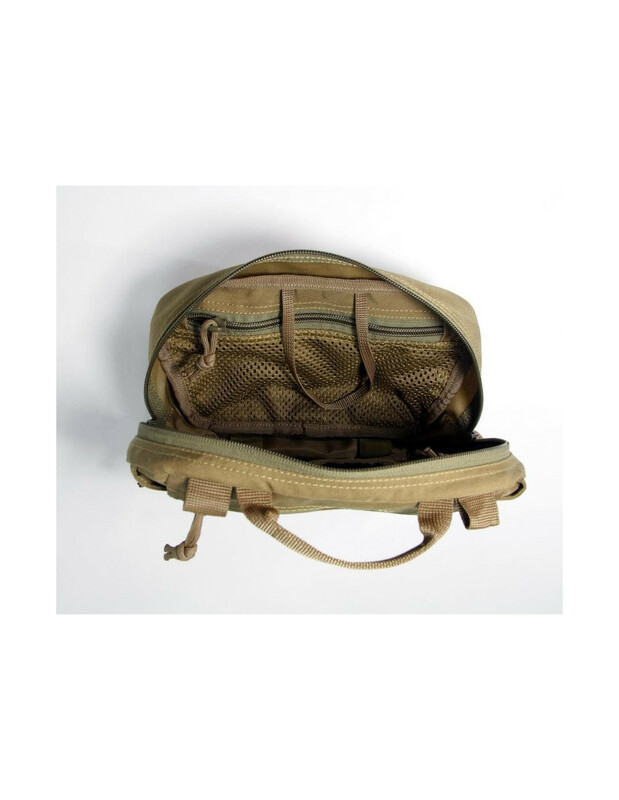 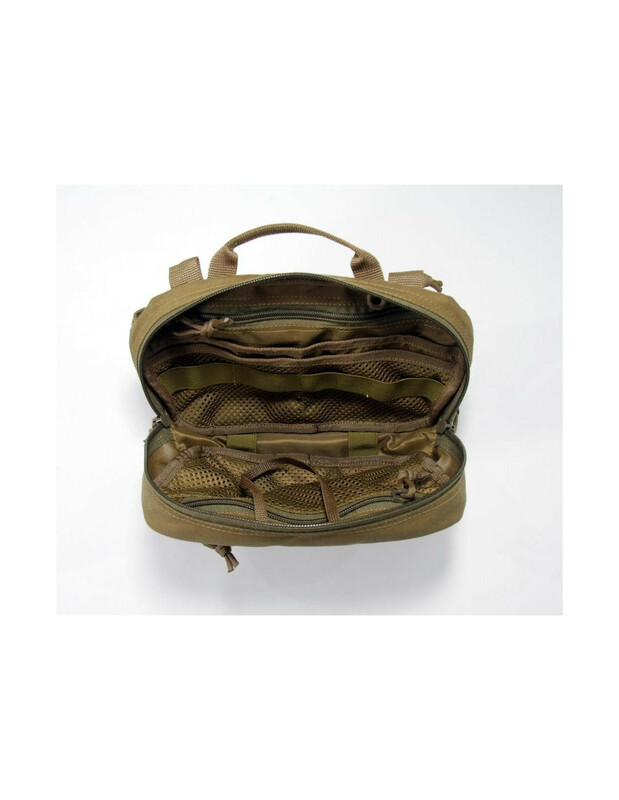 The central pack compartment on the double zipper includes mesh pockets, zipped pockets, an elastic organizer, and allows you to adjust EDC items in one place. 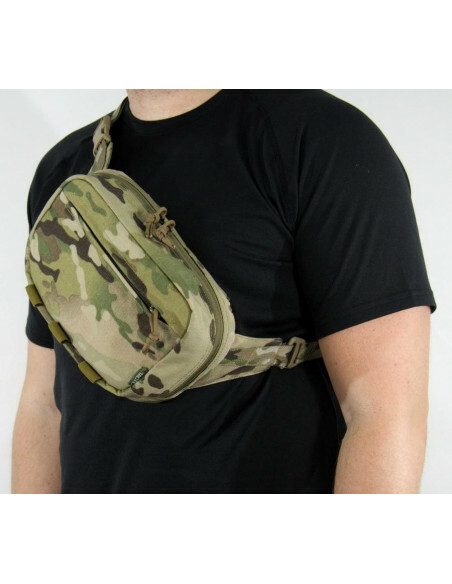 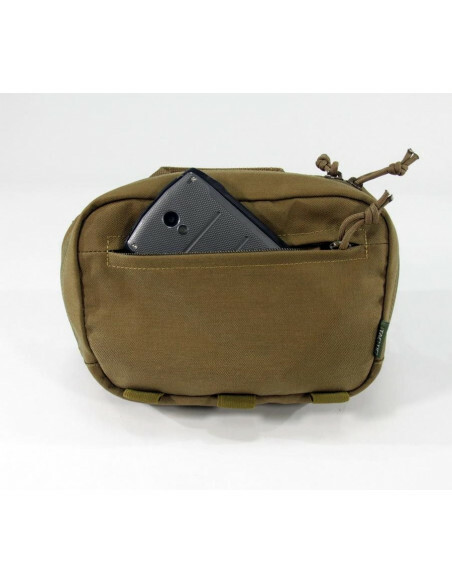 It can also be used as a medical pouch. 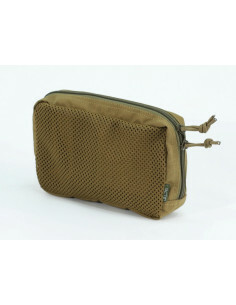 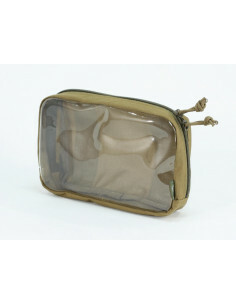 On the backside of Waist Medium Bag there is a zip pocket for the documents and other flat items storage. 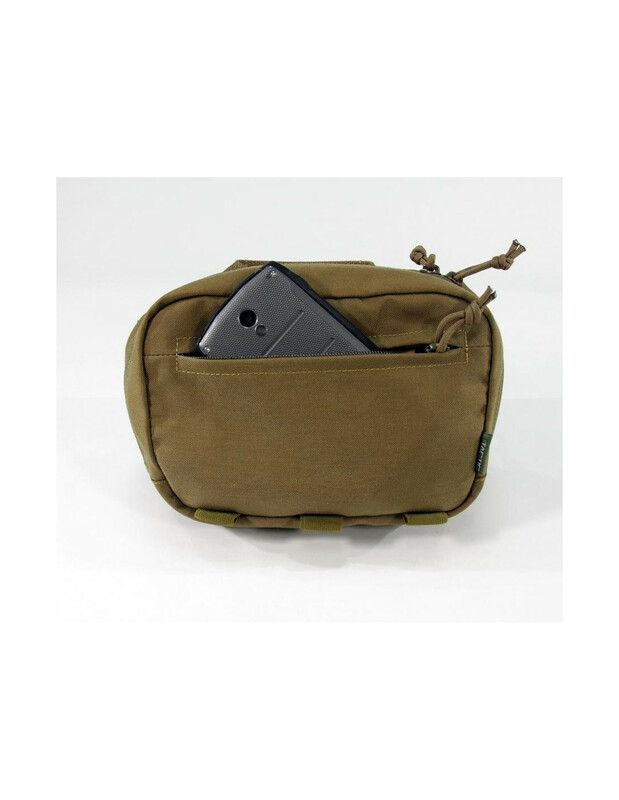 Also in this pocket there are two ribbon elements with Velcro panels for attaching the pack to the body armour. 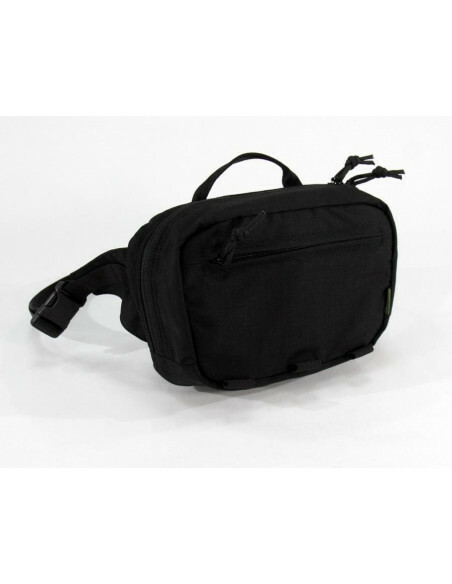 The side wings coupled with the belt can be hidden in a tunnel on the back of the bag.